Dang. That looks pretty cool. In the epic action-adventure Snow White and the Huntsman, Kristen Stewart (Twilight) plays the only person in the land fairer than the evil queen (Oscar winner Charlize Theron) who is out to destroy her. But what the wicked ruler never imagined is that the one girl threatening her reign has been training in the art of war with a huntsman (Chris Hemsworth, Thor) who was dispatched to kill her. Sam Claflin (Pirates of the Caribbean: On Stranger Tides) joins the cast as the prince long enchanted by Snow White’s beauty and power. Snow White and the Huntsman hits theaters on June 1st, 2012. 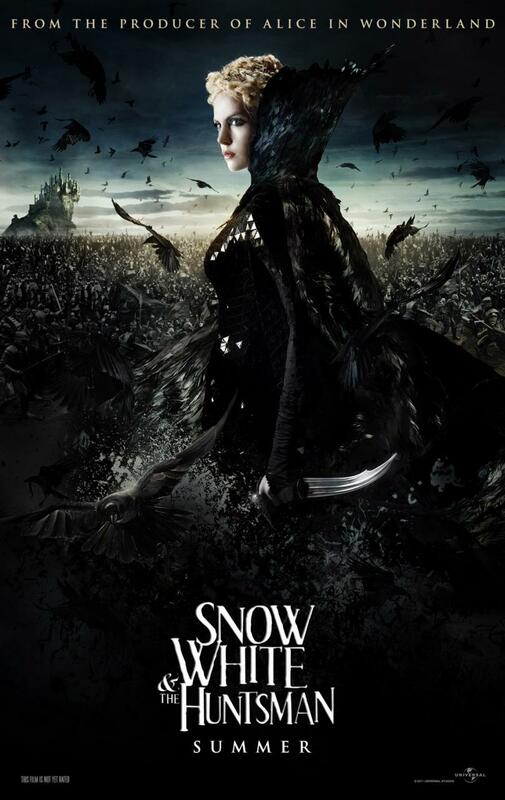 There are currently 1 Comment on Snow White Turns Badass In The New Trailer For “Snow White And The Huntsman”. Perhaps you would like to add one of your own? This looks much more exciting than the first trailer. Wasn’t sure about Kristen Stewart at first, but with this she looks a lot more convincing. Plus Charlize Theron sounds incredibly good as the witch. All in all this is shaping up to be a great film.